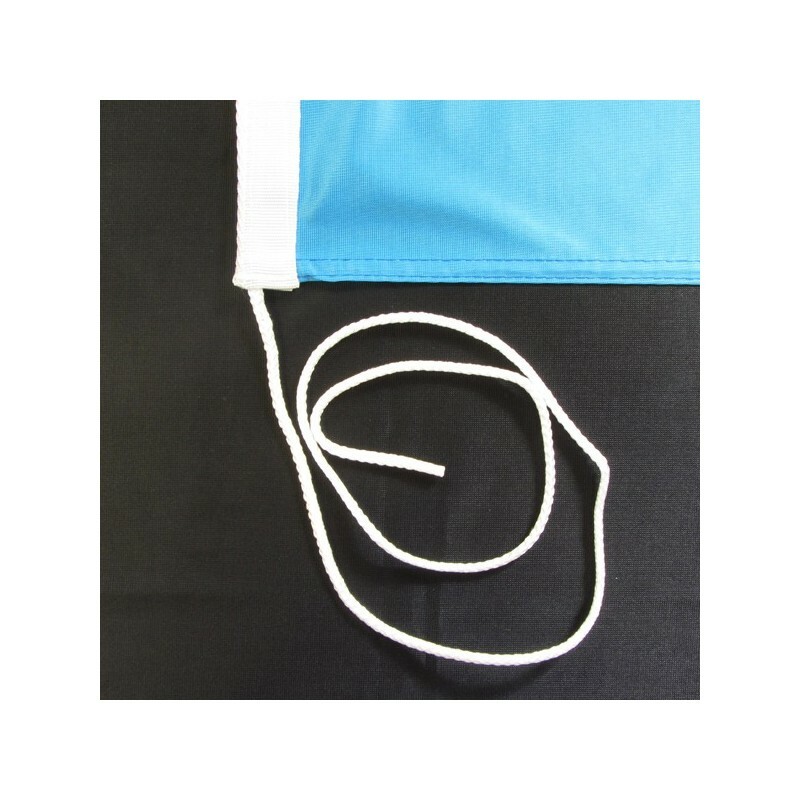 San Marino's flag with the coat of arms of nautical woven. 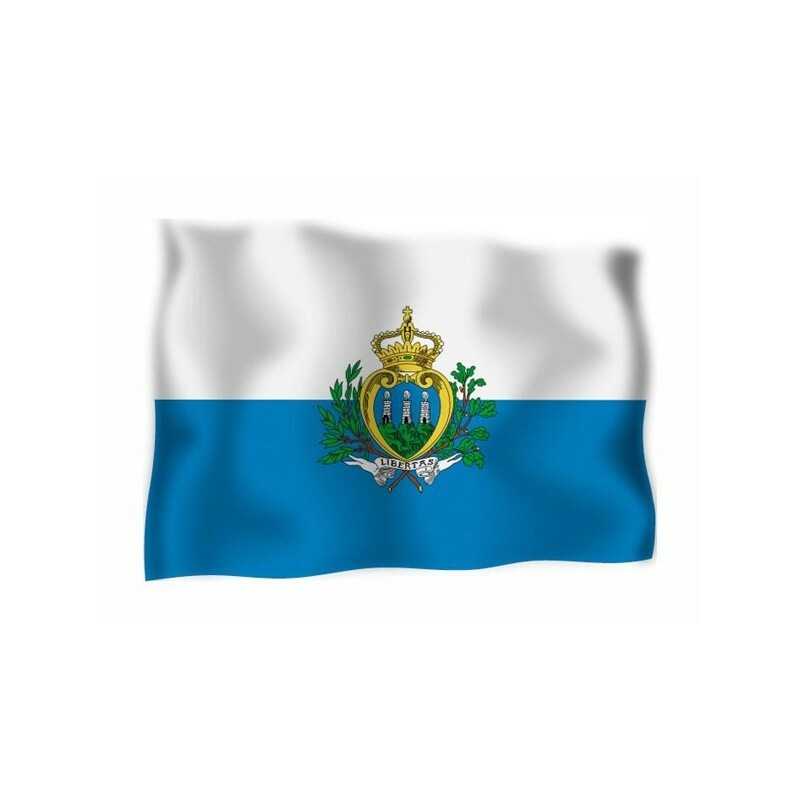 Flag of San Marino with the coat of arms of nautical polyester, for external use only, with digital print. 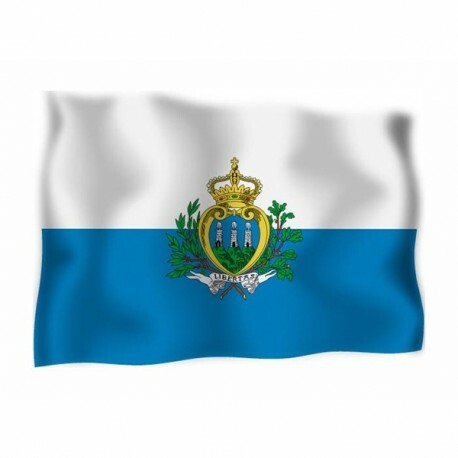 Since the 6 of April 1862 the National and civil flag of San Marino is a white and light blue two-colour and it consists of two equal horizontal stripes. The white represents the snow of the Titano mount and the clouds, the light blue symbolizes the sky. 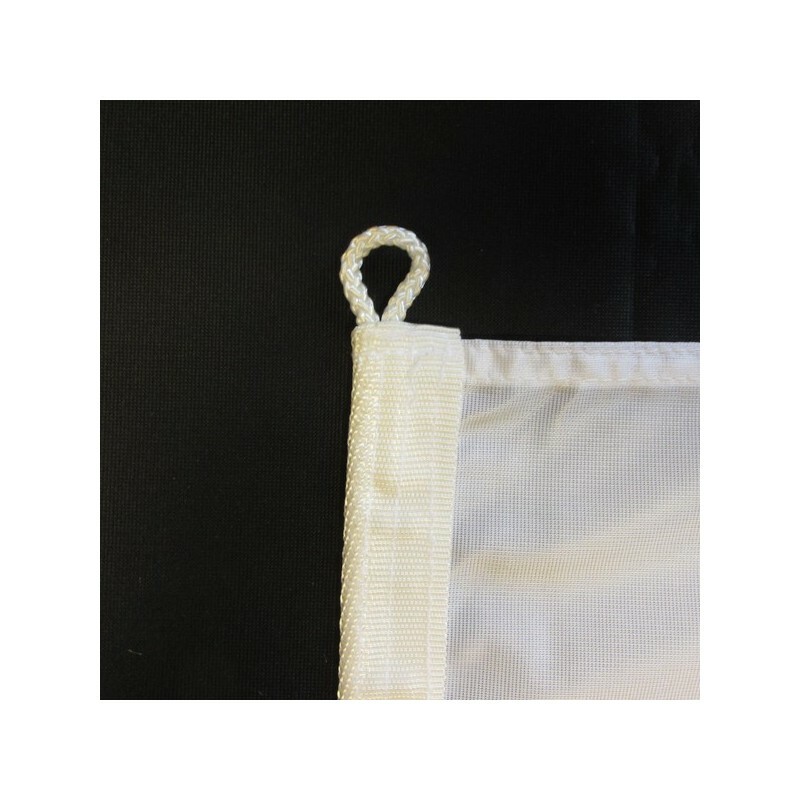 The colours derive from the traditional coat of arms which was at the core of the flag for the official uses. It was founded in the IV century and it iso ne of the smallest and oldest countries of the world. The traditional emblem illustrates three white towers, crowned with some ostrich feathers, which symbolize the three strongholds which are on the Titano. They represent the ability to defend the country.